Hydraulic Prerotator hoses can be clearly seen. Running from the rotor gimbal to the engine. 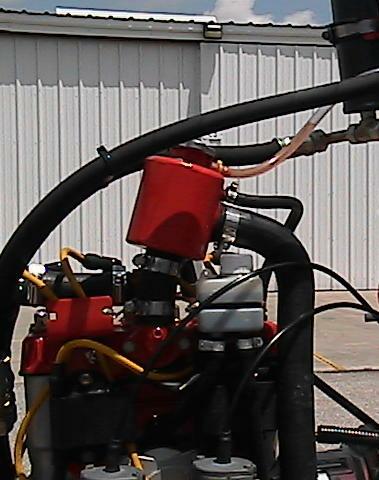 Close up of the hydraulic prerotator at the engine accessory. When autogiro's ruled the rotary-wing skies, they first several models utilized a mechanical form of prerotation. The early aircraft required the ground crew to pull a rope or cable through the rotor to get it initially turning. 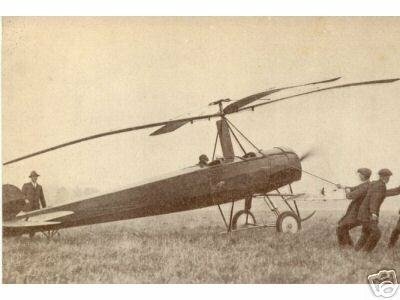 Today some of the smaller single place gyroplanes still require the pilot to "throw the blades through" to get them spinning. As technology improved many different forms of prerotation have found their way into use. Photograph provided by Dr. Bruce Charnov. All Rights Reserved. 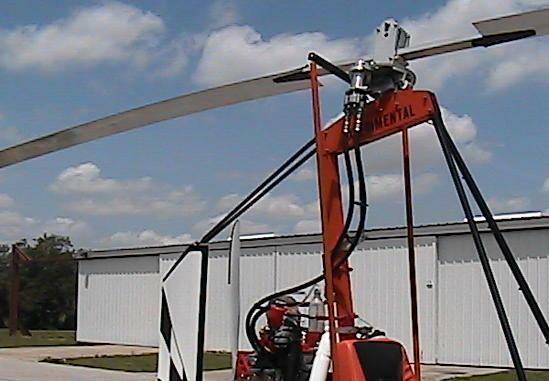 A prerotator is a mechanical, electrical or hydraulic device to initially get the rotor blades turning until sufficient forward velocity and angle of attack has been achieved to reach sustainable autorotation. A lever or switch may be used to activate the prerotator to turn the rotors to proper RPM. 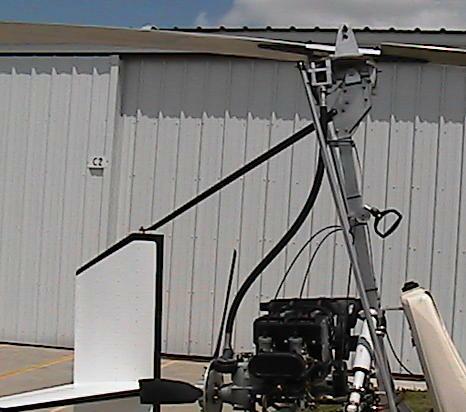 The prerotator is not in active use for the duration of flight but is used only for the initial spin up of the rotors. The prerotator will likely have some special servicing and or inspection called out by the kit manufacturer. Ensure you heed their recommendation for lubrication and inspection of this important component. If a bendix is located at the rotor gimbal, be sure to look for water, snow or ice at the drive gear that may impede proper operation. Some gyroplanes have jump take off capability where the rotor is driven to a higher rpm than needed for normal lift off. When this high rpm is reached a button is pressed to transfer the power back into the engine and propeller and the aircraft is vertically launched. After completion of the takeoff the gyroplane is flown in its normal autorotative flight mode. Mechanical prerotator, the most common type of prerotator used. Mechanical Prerotator, close up of the gimbal attachment. Application of an electric prerotator.